1922 (2017) – What's New on Netflix Canada Today! 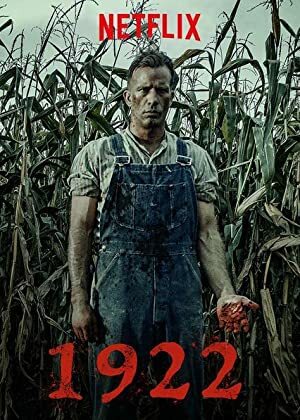 Stephen King – A simple yet proud rancher in the year 1922 conspires to murder his wife for financial gain, convincing his teenage son to participate. A farmer pens a confession admitting to his wife’s murder, but her death is just the beginning of a macabre tale of guilt-driven psychological terror. A simple yet proud farmer in the year 1922 conspires to murder his wife for financial gain, convincing his teenage son to assist. But their actions have unintended consequences.